Driving in summer can be more dangerous than you think. It isn’t just the fact that there are more cars on the road, driving to and from holidays but the heat itself can pose a hidden dangers. Australian summers get really hot and although we only tend to think about how hot we are getting, it’s important to consider how hot our vehicles get under the relentless Aussie sun. Your car can reach extreme temperatures at this time of year which can sometime lead to mechanical failures and car fires. When most people think of car fires, they think of it occurring after an accident when in reality only 1% of casualty crashes result in a fire. On the other hand, two thirds of vehicle fires are the result of mechanical or electrical faults. So how can you be prepared for these kinds of dangers? Always carry a fire extinguisher in your vehicle. Before grabbing the first fire extinguisher you see at your hardware store, consider that not every extinguisher is the same. Generally ones sold at hardware stores and auto shops have a lower fire rating than those from fire protection suppliers. – Aim for a 2kg or 2.5kg chemical powder extinguisher but the absolute minimum you should buy is 1kg. 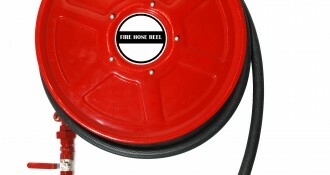 – Make sure your fire extinguisher has a hose attached for protective use. – Buy the biggest extinguisher you can afford. How to use a fire extinguisher on a car fire. An example of a more common car fire is when one occurs under the bonnet. To extinguish the fire, pop the bonnet latch and get out with your extinguisher. This is where you must be careful, if it is not too hot carefully lift the bonnet to its second latch but do not open it right up as the rush of air will fan the flames and you may become engulfed in flames. The best way to do it is to try and extinguish the flames by poking your fire extinguisher hose in the gap between the car body and bonnet and discharge the contents, this is why we recommend a fire extinguisher with a hose. Try not to use all of the contents as you may need it for a flare up afterwards, keep in mind you will only have about 8-10 seconds of powder in a 1kg extinguisher and 14 seconds in a 2.5kg. Take care with what you wear. Firefighters wear thick protective gear when extinguishing fires so your beach outfit might not be the best attire for putting out flames. 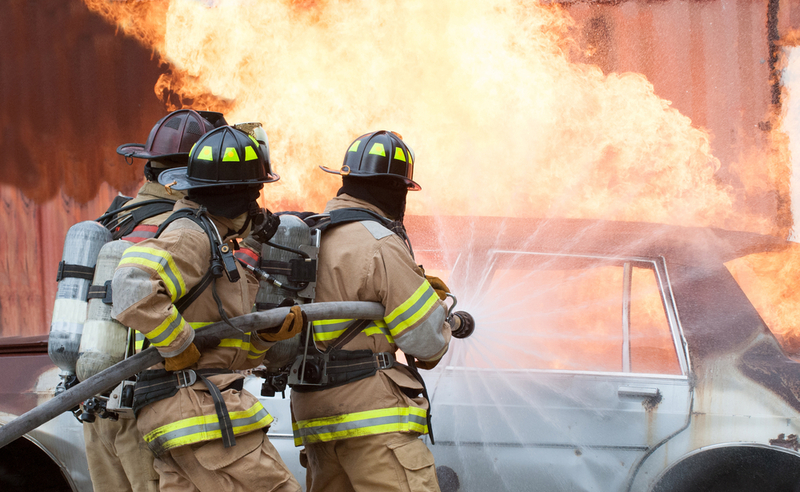 Keep a non-flammable long sleeve top and pants in your vehicle to throw on before you try to use your extinguisher. It is also a good idea to keep a pair of leather gloves, a fire blanket and safety goggles along with your extinguisher. Carrying a fire extinguisher in your car can save lives. Whether it’s to put out a fire on your own car or to extinguish flames from a car accident you may have witnessed, having a fire extinguisher in your car is the best preparation for car fires. They don’t take up a lot of room but they could save lives and that is something money can’t buy. Drive safely this summer – be prepared and fire safe.